Founded in 1950, the Pebble Beach Concours d’Elegance is widely recognized as the most prestigious concours event in the world. If you don’t know, the vehicles in a Concours d’Elegance – literally translated as a “Competition of Excellence” in French – are subject to incredibly demanding judging. To receive a trophy, a vehicle has to be virtually flawless in every way. Owners spend literally hundreds of thousands of dollars ensuring that their vehicles are not only faultless, but period appropriate. Classes are typically arranged by make, era, or nation of origin. This week, tens of millions of dollars’ worth of amazing cars will be on the auction block at the Pebble Beach Concours d’Elegance in California. Some of the cars have had famous owners, others are famous in their own right, while some of the others are probably nothing most of us have ever heard of. Auction insiders believe that at least 70 of the cars to be sold will pull in more than $1 million each. A car that was stored alone in a shed for four decades may set the auction record of $16.5 million. A 1936 Mercedes-Benz 540 K Special Roadster that was custom built for one of the last members of German aristocracy, Baroness Gisela von Krieger. The Baroness was the car’s sole owner until her death in 1989. 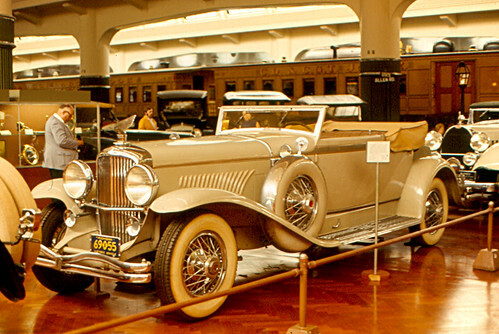 A 1935 Duesenberg Model JN Convertible Coupe is on the must-see list because it was once Clark Gable’s personal ride. A 1931 Bentley 4 1/2 Litre SC “Blower” Sports 2/3 Seater Boattail is only one of 50 “blower” Bentleys ever made. Despite being mostly original, the car is in top condition. A 1956 Ferrari 250 GT LWB Berlinetta ‘Tour de France’ was at one time a car that was used by Walt Disney Studieos in its movies. 1997 McLaren F1 GTR “Longtail” FIA GT Endurance Racing Coupe is becoming one of the top supercars to collect although it is a new kid on the block. This guest post has been provided by Taylor Brown, who regularly covers automotive topics across the web. His company, My Bad Credit Auto Loan, helps people get approved for financing of up to 72 months, even if their credit history has seen better days.